Co-created by Mykal Aubry and Rhonda Blatti. 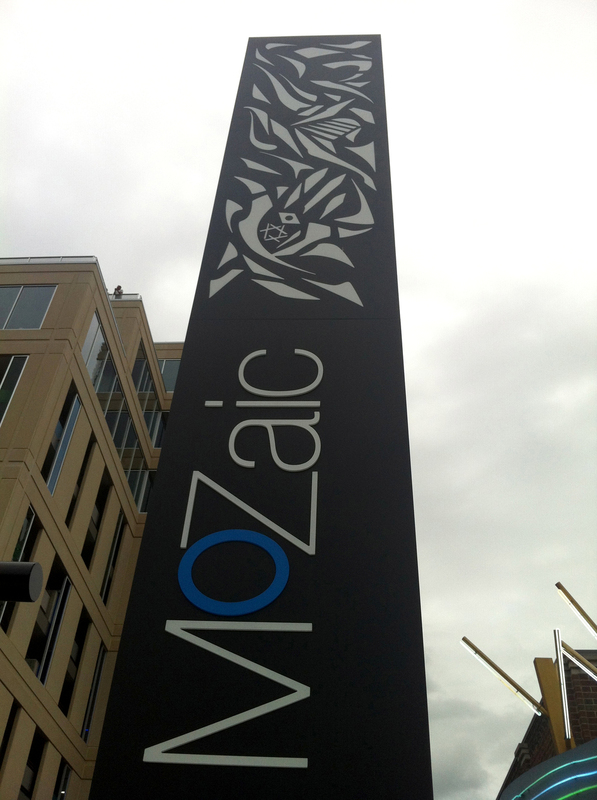 This Obelisk was created for the MoZaic business complex, developed by The Ackerberg Group in Uptown Minneapolis, Minnesota. The grand opening of this new development was on July 18, 2012. The obelisk has 3 to 4 known sacred symbols on each side of the structure, each designed in a mosaic style and are integrated into each other. The piece was inspired by the different cultures, symbols and ways that Humans honor and feel devotion in their hearts, dating back thousands of years, for the One Source of all Life. This piece is also inspired by the future vision of our planet Earth and the Human Family, evolving to new heights and depths of awareness, compassion and authentic empowerment, individually and collectively. 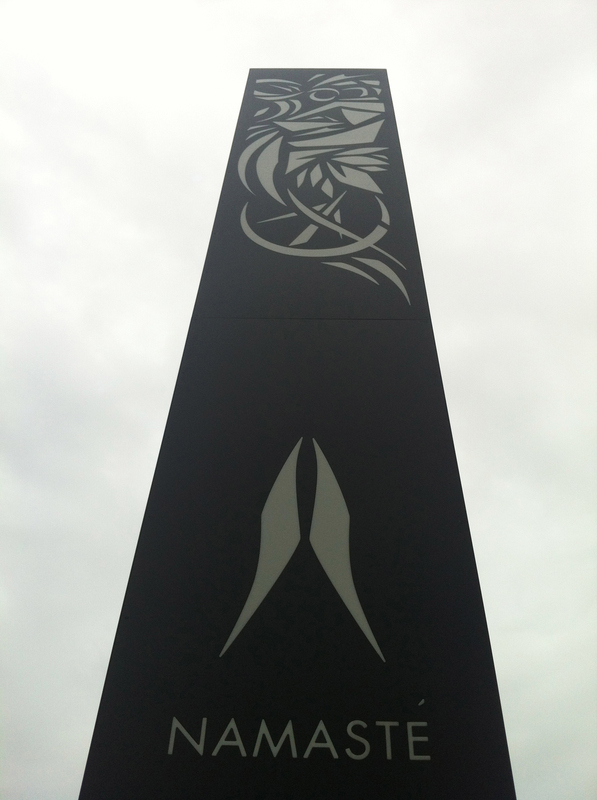 For me, the Obelisk represents the unique Individual and the collective One that is made up by the many.